Mike Bostok has a fantastic tutorial on how to make a map using d3 and topojson. Having done some mapping work recently for a client, I was keen to learn more and try do a d3 based cartogram. I found some good examples of non-contiguous cartograms, but I wanted to make a South African version of a contiguous one using Shawn Allen’s d3 implementation. Here is the final product, and I’ll take you through some of the tricky parts that I had to deal with. 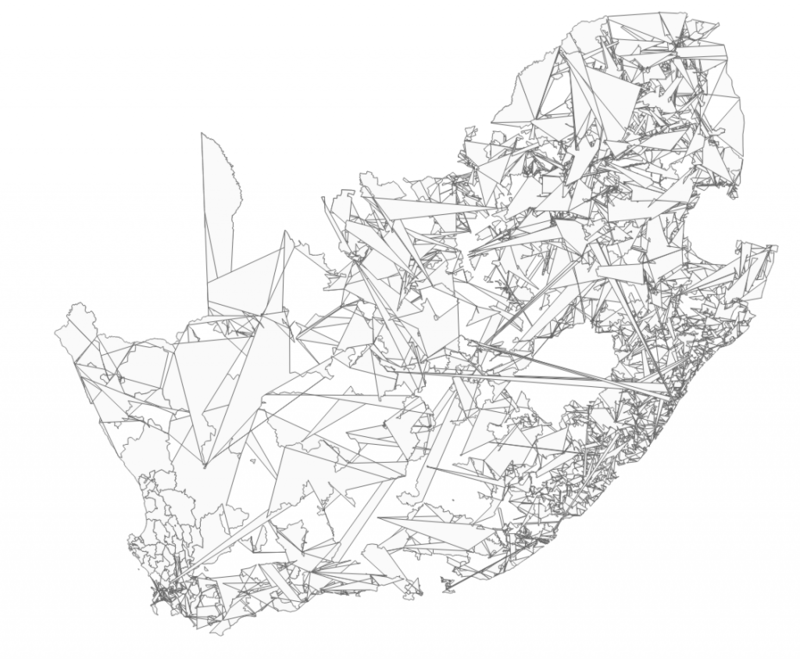 While working on making a d3 based cartogram, I accidentally made a new map of South Africa. I dig it!